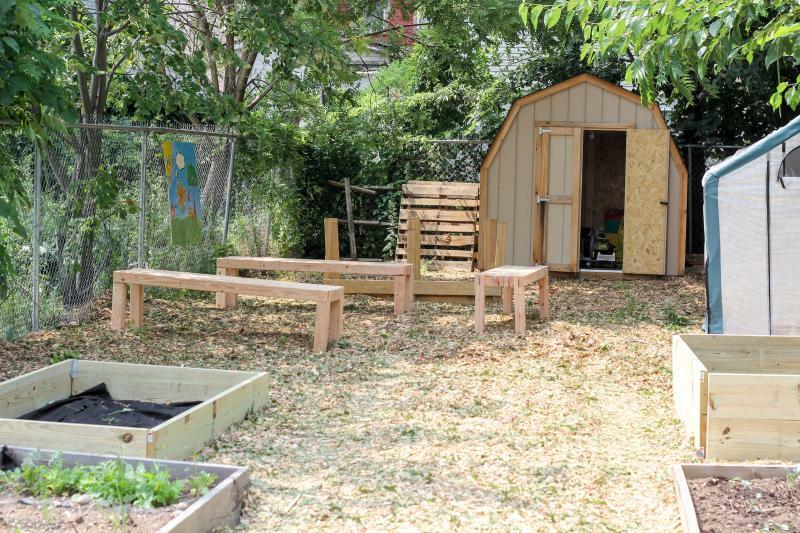 The Seek Academy school garden seeks to promote positive environmental change in Newark as well as provide access to nutritious, organic, real food in an area where there is limited access. We are Newark, New Jersey! More garden progress for Seek Academy garden! 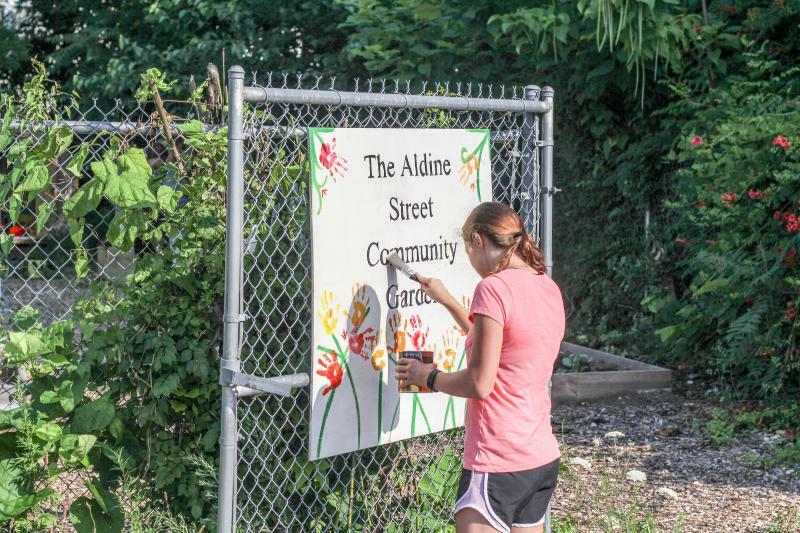 We are transforming an abandoned lot in the South Ward into a thriving school garden that provides outdoor experiences and cheap, real, organic food in a neighborhood where it is largely unavailable. Our scholars and staff are working hard to create this garden that will beautify and sustain our corner of Newark for years to come. Week 5: Begin in-class instruction with our new Garden Teacher! The South Ward of Newark is riddled with vacant lots and homes--especially the block across from our school. 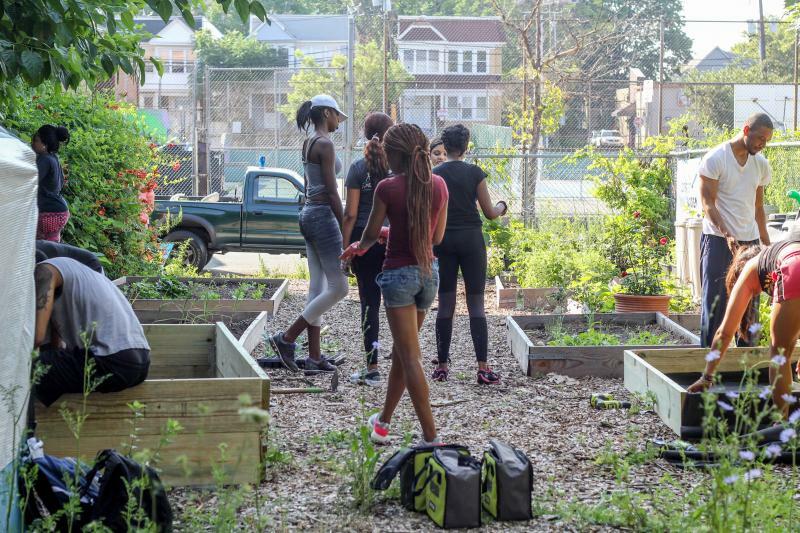 Instead of having children look out their classroom windows at old, burned out, abandoned homes, we are hoping they can look at gardens they planted themselves, where communities can come together to share fresh, real, cheap organic food in a place where that is hard to find, and to make Newark as beautiful as we know it can be. $100 Hoses We had this donated! We are so excited to fit into our schedule a rigorous and experiential curriculum for urban gardening and sustainability. We have expanded our budget to include the cost of a part-time garden instructor. Hands-on learning and real life skills will truly provide our scholars with unforgettable experiences and a sense of ownership of their community and Earth. We had KIPP New Jersey's AmeriCorps members out for a volunteer day. ...and created benches that are the start of our outdoor classroom! Update for our school garden! Our kids having fun in the garden! Our work was also featured on the news. Check out the video here! Our project story on America Towns Blog! Read more about our work here! Our story on ioby's blog! We're excited to be featured on ioby's national blog. 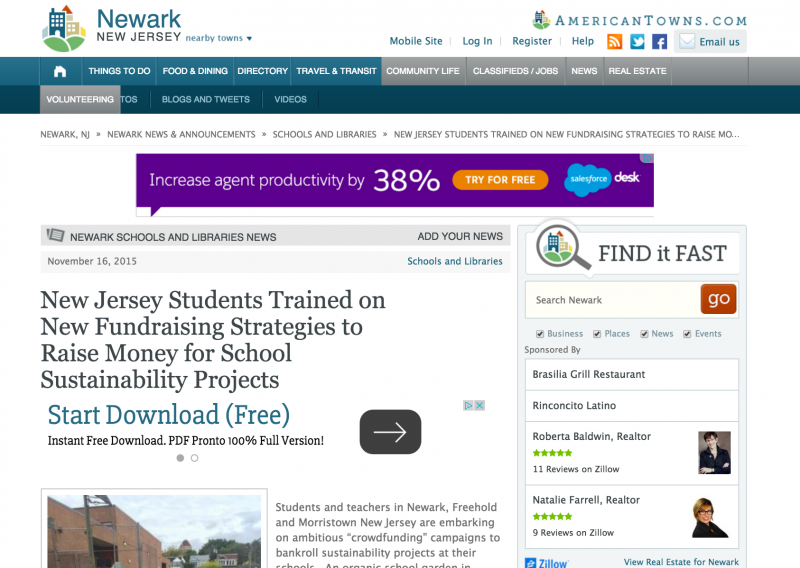 Read more about the work we're doing in South Ward of Newark, New Jersey ! A message from our team - we're expanding our impact...and goal! We are so excited to fit into our schedule a rigorous and experiential curriculum for urban gardening and sustainability. We have expanded our budget to include the cost of a part-time garden instructor. Hands-on learning and real life skills will truly provide our scholars with unforgettable experiences and a sense of ownership of their community and Earth. Thanks for your donations and continued support! 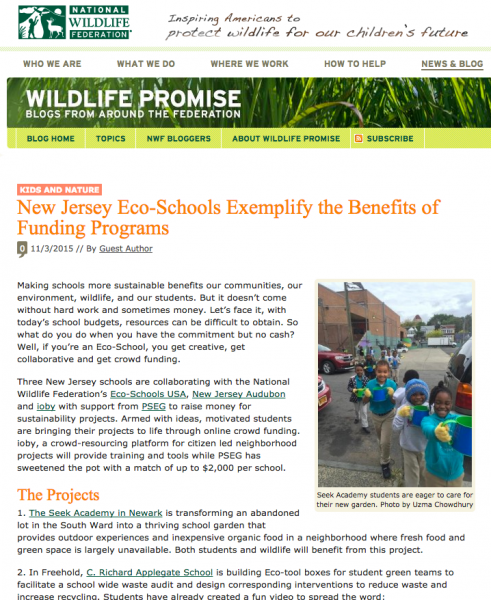 A growing buzz about our project on the National Wildlife Federation Blog! Read about our project here! 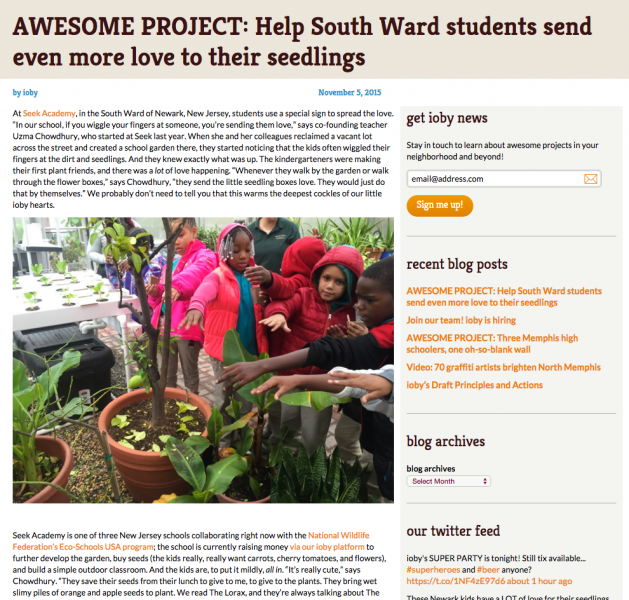 Help us build our compost bin, outdoor classroom, and irrigation system!